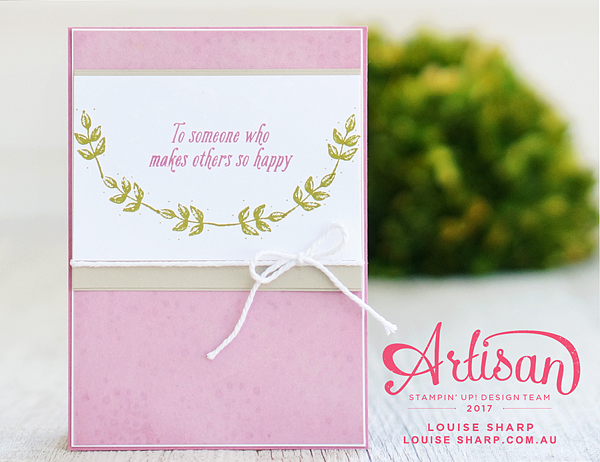 Welcome to the Artisan Design Team Blog Hop. 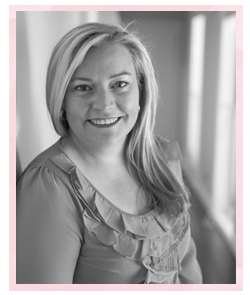 You may have just arrive here from my lovely friend Kimberly Van Diepen from the US. At the bottom of the page please hit the next button to move around and see all the beautiful projects. For this hop we are focusing on all things Sale-A-Brations. 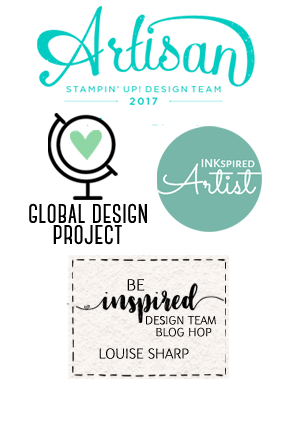 A: If you are possibly new to Stampin' Up! 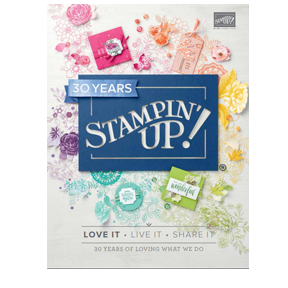 you may not know that 'Sale-A-Bration' is only the biggest and best promotion during the Stampin' Up! year. 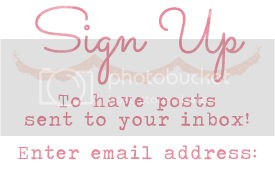 You can earn free products for every AU$90 on any current product. The product I will be highlightly today is the Avant Garden stamp set on page 5 of the Sale-A-Bration brochure. 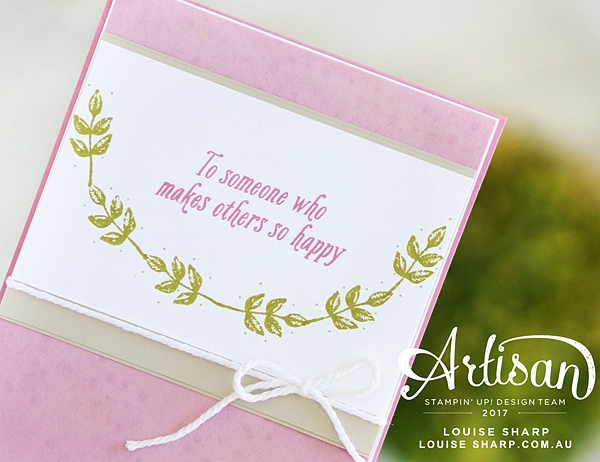 This is a very pretty and versatile stamp set. 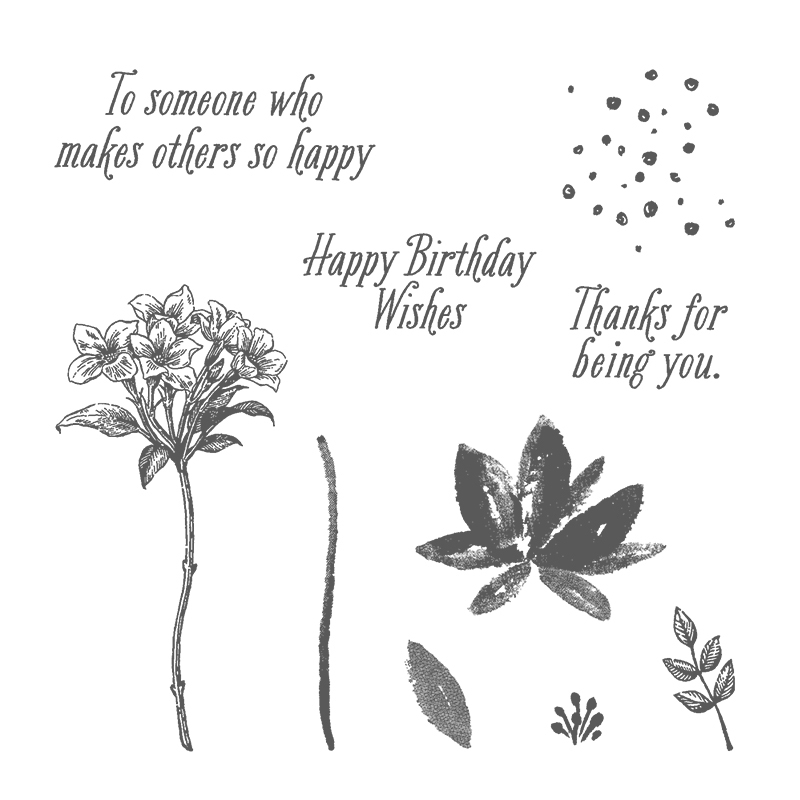 I used the leaf to create a half wreath and I really like the sentiment too as it can be used for so many occasions.